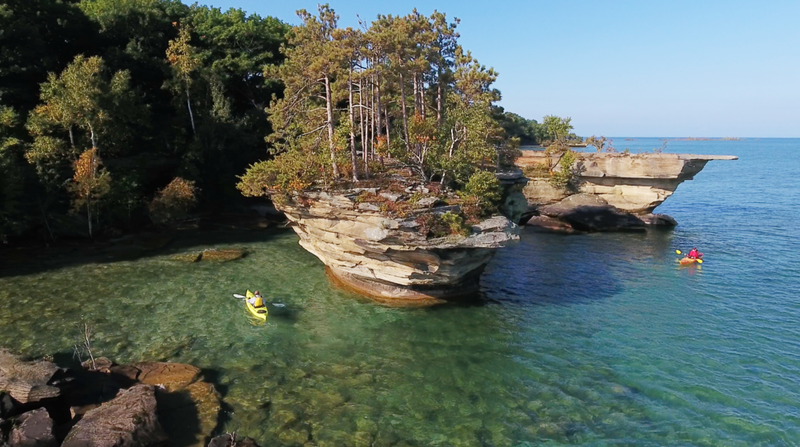 See one of Michigan's natural wonders! 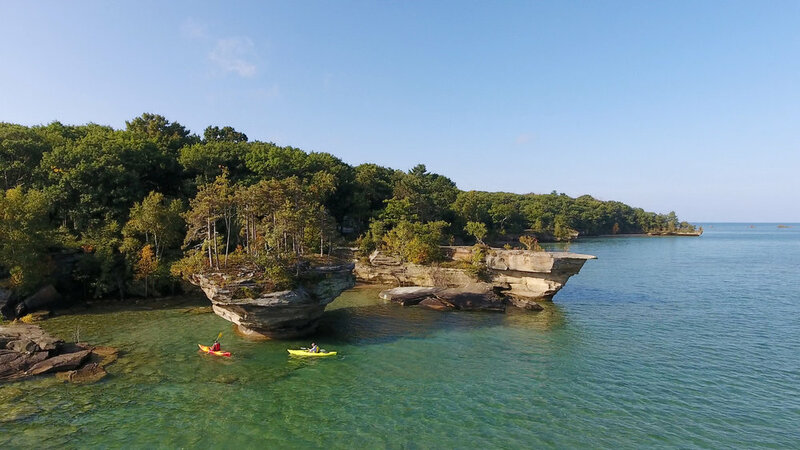 The Turnip Rock trail is why Port Austin is a popular kayaking destination. 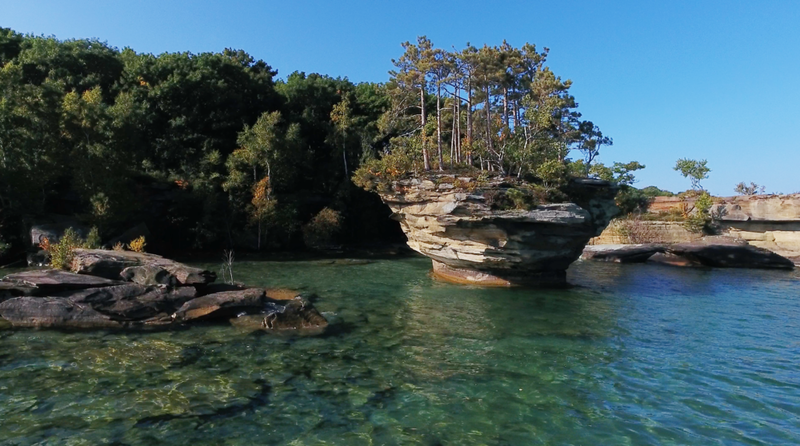 The water trail out to Turnip Rock follows along the shallow, mostly undeveloped shore to some of the most majestic rock formations in the Lower Peninsula of Michigan. Along the way you will see many bird species and possibly an eagle or two. 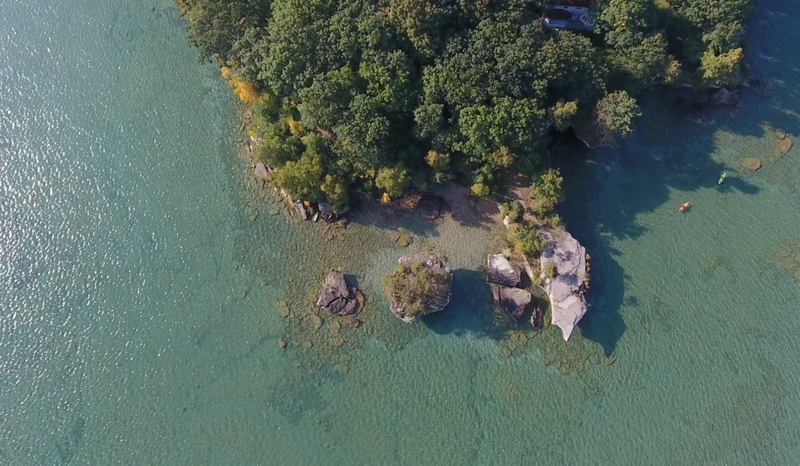 Once at Turnip Rock you will also see the "Thumb Nail Point", rocky cliffs, and sea caves. If you leave from Bird Creek County Park the paddle out and back to Turnip Rock takes 2-3 hours. After your adventure, continue to enjoy your day outdoors with Michigan craft beer on the decks and patios of our local establishments.